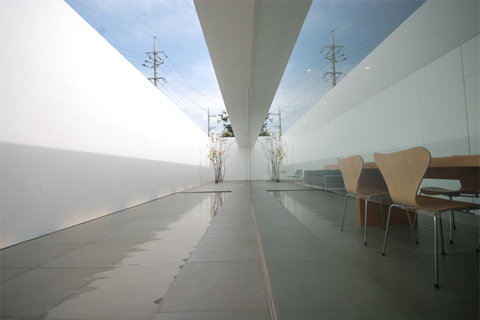 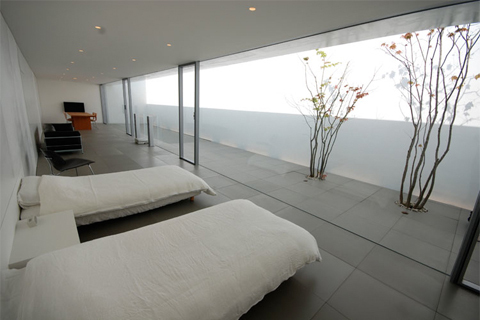 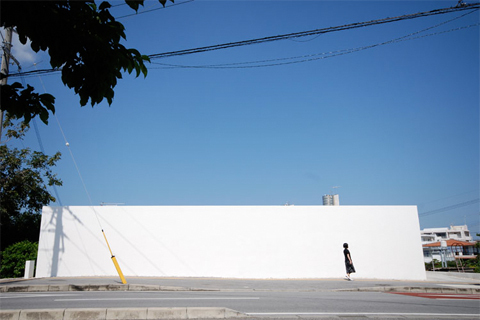 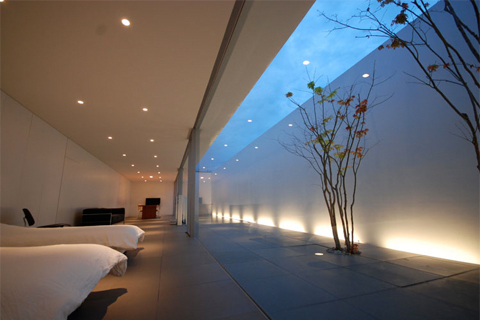 Shinichi Ogawa & Associates designed a minimalist court house for a couple in Itoman-shi, Okinawa, Japan. 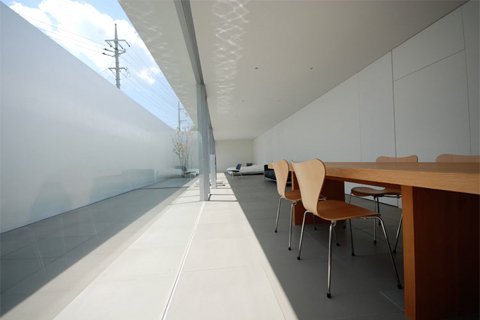 The house is composed of four vertical plates as exterior walls and one horizontal plate as a roof slab. 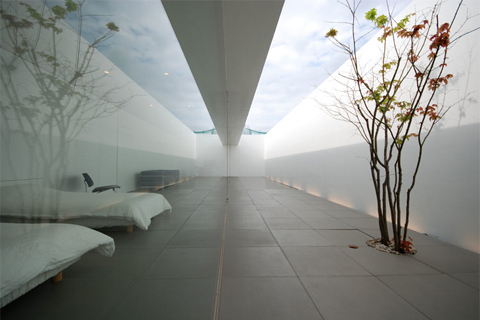 A functional layout is created by inserting a void of 3×18 meters, which is the court for the house, and a wall-like furniture into the concrete structure space. 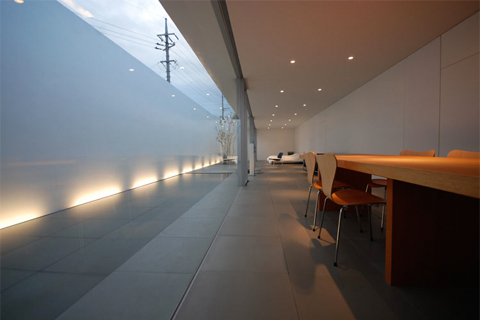 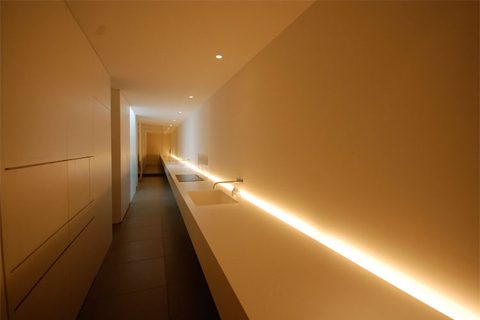 The space composition is characterized by the division of the house into two areas by the wall-like furniture. 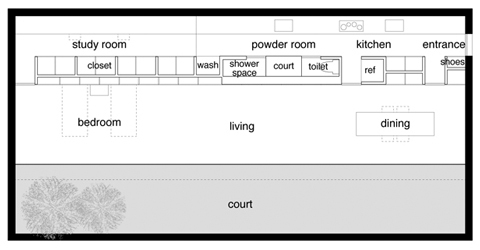 The first area is composed of the living room, dining room and bedroom, while the other space is composed of the kitchen, powder room and study room. 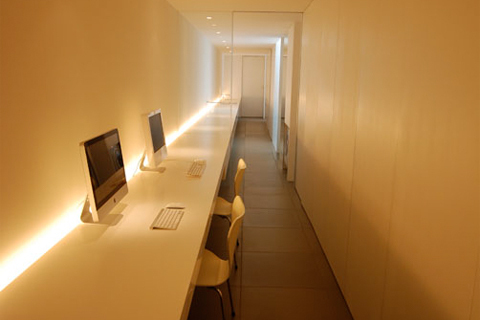 The shower room, toilet and various storages are laid out in this wall-like unit, which also incorporates the services.